Where are the black ballplayers in baseball? 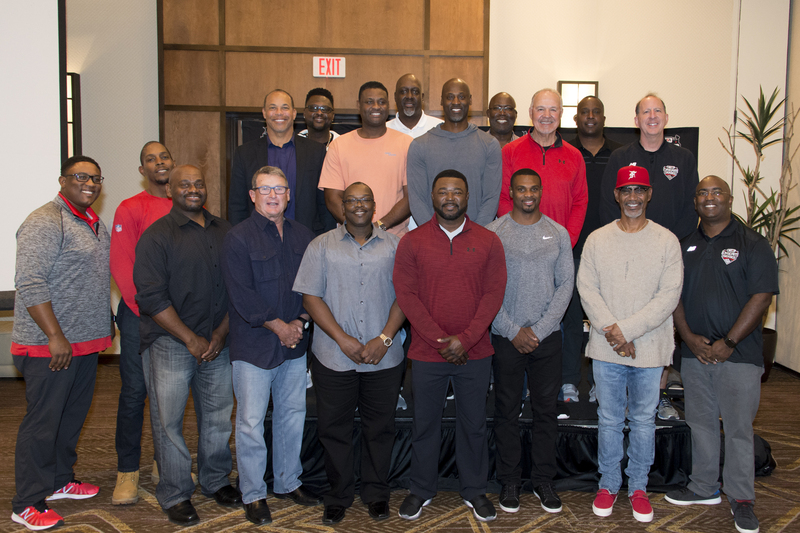 This is the first in a series “Where are the black ballplayers?” in which we dive deep into the current state of affairs for African-American baseball players from the United States. Ostensibly, numbers have been dwindling for the better part of two decades and Major League Baseball announced a task force to combat the issue within its ranks. But as an organization, there are quite a few efforts to make these changes happen over time. This series will look at everyone from retired players to current major leaguers to youth players and MLB officials to portray what life is really like for black ballplayers, beyond the headlines about falling numbers. TEMPE, Arizona — When Jerry Manuel walks into the room at Tempe Diablo Stadium early on a Friday morning, he’s carrying a portable speaker blasting an instrumental version of Chaka Khan’s “Sweet Thing.” His coaches are trying to guess who is on the saxophone. After multiple failed attempts, he announces that it’s Boney James. A copy of Baseball America is on the table, and MLB Network is playing in the background. Then the meeting starts. The baseball lifer known as “The Sage” is here to run the show. 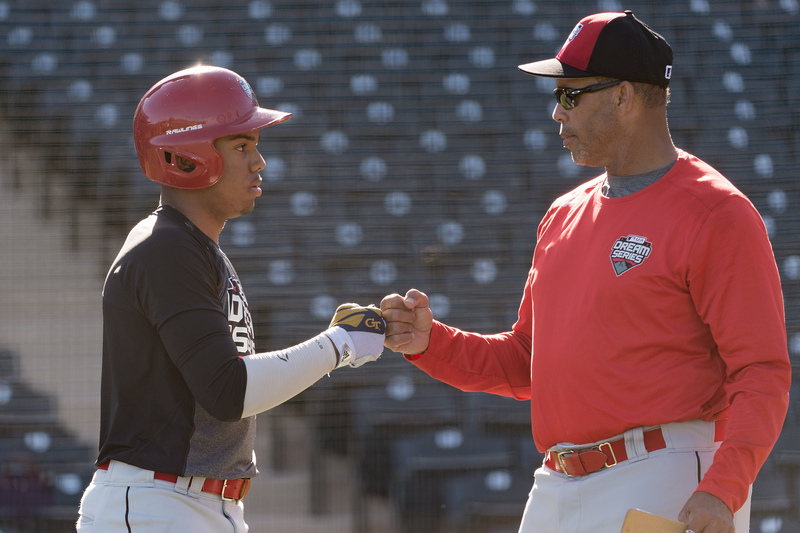 He’s leading a collection of former major league players, coaches and scouts at the Dream Series, a showcase event run by Major League Baseball and USA Baseball that puts the best African-American players in the country in the same place to learn and play. It looks like a big league spring training, it feels like a big league spring training, but it doesn’t quack like a big league spring training. With 60 kids invited to the event, specifically pitchers and catchers, they don’t have time to waste. This crew has been selected because of their knowledge, experience and skill. 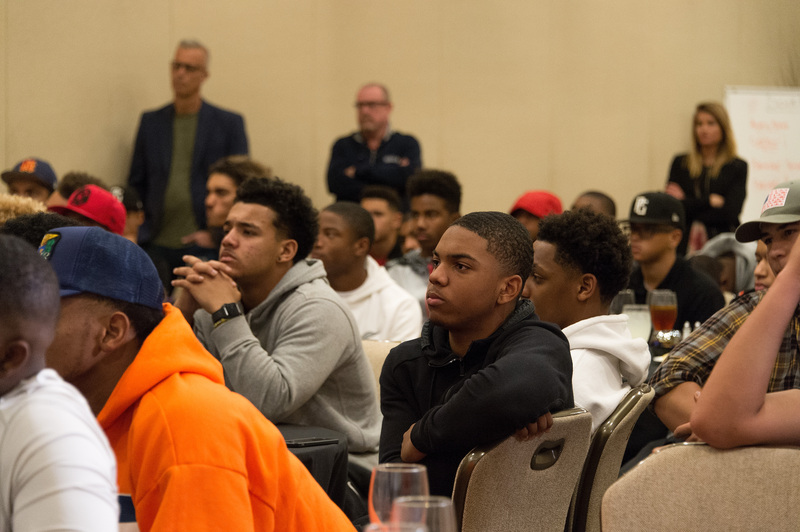 The best black players in America are here to learn from some of the best black coaches in America. Period. It’s important that their message is unified, for a variety of reasons. “The key thing is, for me, is that there’s no confusion with the kid when he leaves here,” said Manuel, who won a World Series ring and a Manager of the Year Award in the big leagues. “He’s not confused. He might not get the revelation of what you’re talking about, but he’s not confused. He might not get it right now. He might go home, wake up and say, ‘Ah, that’s what he meant.’ Flash [Tom Gordon] said to me the same thing Marvin [Freeman] said to me. But Marvin said it in a different way. That’s the genius of who you guys are. That’s the genius of having different types of pitchers here. Over the next three days, players who were part of a generation who shaped what the game is all about for me would attempt to do the same for the players whom MLB has identified as those with the best chance to help solve their diversity problem. While the baseball basics throw around phrases such as “where are all the black players?” and posit quasi-sensible but ultimately pointless theories as to why the number of African-American players at the major league level has dipped by whatever percentage, on the surface the league is taking a multifaceted at best, scatterbrained at worst, attempt to build the game at the grass-roots level, besides grooming talent to advance to the next level. The truth is that a combination of economics and sociology — along with interest — has changed why the number of African-American players is down in MLB. But baseball is bigger than the major leagues. There are fewer black players in college baseball, never mind high school baseball and on down. Travel ball has turned the average teenage experience on the diamond into a game with higher stakes than most parents can afford to play, and when teams in structurally and institutionally disadvantaged districts do succeed at the little league level, there are some coaches willing to go to the ends of the earth to make sure their kids win, no matter the cost — remember what happened to Jackie Robinson West. In short, the deck is stacked. So when I walked into the banquet room for the opening night dinner to kick off the event, it was a bit emotional. I first learned to play baseball during winter camp at the Raymond A. DuFour Athletic Center on the campus of Catholic University in Northeast Washington, D.C. It was what I used to get my mind off the fact that my parents had just split up, rocking my grade school world. It was December, I had never played outside, and I was quickly captivated. I dove into the game with everything I had, sleeping with my equipment and spending hours on my back in my bed at night, throwing a baseball up to the ceiling until it got just close enough without hitting it, and catching it with the same hand. By the time we got outside to play in the spring, I had found the love of my life. That obsession carried me through little league, where I was the only black kid on my All-Star team, and on through to MLB’s Reviving Baseball in Inner Cities (RBI) program. In the earliest phases of that effort, it wasn’t much more than the most obviously identifiable black players in the city playing in regional tournaments with some weeks of excellent coaching. The highest peak it took me to was a game in Camden Yards, where we played against a Baltimore team, and that was pretty much it. Soon after that, my baseball career was over as a player. Fast-forward to last Martin Luther King Jr. Day weekend and I’m sitting in a room with a bunch of teenagers who are far better than I ever was, with far more opportunities, sitting right alongside a collection of some of the very guys who made me feel, as a kid, like playing baseball was something more than just another sport. The very existence of this situation was enough to make this grown man well up. 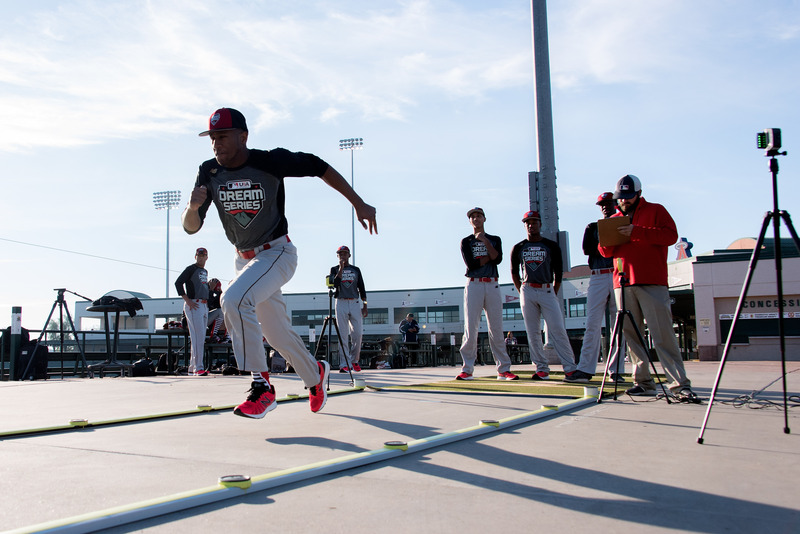 “The things that take place off the field are as important as the things that take place on the field,” said Tony Reagins, senior vice president of youth programs for the MLB. You might know that name from his time in the bigs. He was the Anaheim Angels’ general manager for five seasons. But he’s better known in baseball circles by a more important moniker: the man who drafted Mike Trout. Reagins presents a video showing some career highlights of all the retired ballplayers brought in to help. “OK, coach!” is a big yell, and one Junior Spivey home run with the Arizona Diamondbacks gets a huge ooh. Then, they make way for Manuel. The battery is the most important combination in baseball. The relationship between a pitcher and a catcher is vital to any winning team, never mind game-to-game success. While catcher’s pads were once referred to as the tools of ignorance, being on the mound is considered a thinking position. While it’s a requirement to have big-league stuff (velocity, movement), you’re also facing big-league hitters. Few pitchers, if any, will ever get by on stuff alone, as Manuel mentioned. But that’s exactly the part that’s forced so many black players to other positions in youth ball, or out of the game entirely. Think of it this way. Not dissimilar to the way that black football players were once considered not smart enough to play quarterback, a similar mindset among scouts and the game’s cognoscenti pushed a lot of strong-armed, smart-willed kids to outfield positions. “I think that, first and foremost, you try to put on rose-colored glasses and try to treat every player the same. With this being an event that’s minority-based, you go in and it kind of levels the field because you’re looking at everyone in the same context,” said Clarence Johns, a national cross-checker (a scout who travels to see prospects who have been identified by other scouts) for the Texas Rangers. He is black, and about the same age (late 40s) as most of the guys who are here as instructors. Friday morning, after stretching, some of the players participate in Prospect Development Pipeline (PDP) testing for USA Baseball. After various agility and speed drills, their info is logged in a database to be compared with and measured against other elite athletes. Certain players opt out because they’ve already tested pretty well. But the combinelike element can also be fruitful. Guys get drafted off these tests alone, Manuel said. Perhaps an exaggeration, but the point was made to the kids: Take it seriously. PDPs are more routine than eventful. Scouts, parents, coaches and league officials hang around while the kids do their best in shuttle runs, long jumps and standing jumps. One kid wipes out on his 40-yard dash, but his ego is more hurt than his body. After that, they move down to the practice fields for drills and training. As the kids get loose, Stevie Wonder is playing over the complex’s speakers. Goodie Mob after that. While the drills change and guys get ready for their bullpen sessions, Manuel gives me a look. After doubting that this was actually his playlist, he says with a laugh, “You gonna really like the next one.” OK, Jerry. I’m sure this modified Uncle Cookout Playlist is gonna blow me away. Turns out, it’s some sort of trap remix of King’s I Have A Dream speech. And it bangs. A whole bunch of minutes later, because the song is just the speech with dope, ever-changing beats underneath, he sees me again and gives an “I told you so” look that couldn’t help but make me laugh. “It’s about creating a rhythm,” he said, before moving on. In the bullpen sessions, pitchers line up five in a row and throw around 30 pitches to the catchers. Each catcher catches three pitchers, then they rotate. Throughout the process, coaches yell instructions and tips to the guys behind the dishes while other coaches work more quietly on individual things with guys on the mounds. It’s easily the loudest part of every day, with multiple kids throwing upward of 85 mph close to each other in an enclosed environment. But this is where a lot of those interactions that are so vital once they get onto the playing field with their respective teams occur. Charles Johnson is one of the instructors at the camp. He won four Gold Gloves, including one in his rookie season. He was a World Series champion with the Miami Marlins in 1997. He’s one of three catchers in history to go 100 games without committing an error. He encourages the catchers to talk to their pitchers. But on top of that, communication is really what this relationship is about. Fewer black pitchers inevitably lead to fewer black catchers. More directly, one miscommunication in the battery can lead to a lost game. Teaching these kids just to learn how to talk to each other on the field is half the battle in getting them to develop as players. It might be easy now — because of the nature of the group they sort of get each other, even if they just met. But as they get out to college and to the pros, that ability to get in sync with your pitcher is the difference between sitting and playing. Fernando Arroyo, born and raised in Sacramento, was an eight-year MLB veteran as a pitcher and coached for 15 years after that. Most of the kids here are not yet stars. There are a couple whose names you’ll definitely know in a year or two. Kumar Rocker is a 6-foot-5 rightie headed to Vanderbilt with solid velocity and command of three pitches. Sanson “Trey” Faltine, another rightie, is committed to Texas. Allante Hall, a catcher from Kansas City, Missouri, is probably going to be a first-round pick at some point. At first glance, they don’t necessarily stand out from other high school kids. In the clubhouse, they play video games, listen to Migos and crack jokes about one another, like any locker room across America. When you ask them how they feel about the experience, their words are sometimes shaky and often feel rehearsed. They’re teenagers. It’s why they’re getting interview training here, and why coming together where they feel like they can be themselves with like-minded players is important. Of course, all black ballplayers ain’t the same. But they are all still black. That shared experience alone is enough to bond you in an unfamiliar place. So when the veteran coaches would get to recounting stories about the days of their struggles in the bigs and their subsequent relationship with the game — it knocked you down, just like any big league fastball coming straight for your brain should. Of course, all black ballplayers ain’t the same. But they are all still black. That shared experience alone is enough to bond you in an unfamiliar place. When it’s easy to take a wide look at black baseball players, particularly from the ’90s, the lazy thinking is about the stars: Barry Bonds, Frank Thomas and Ken Griffey Jr. But clearly, most black players weren’t those guys at all. The guys whose baseball cards I remember were run-of-the-mill dudes who just happened to be baseball players. Some were great, some were good enough to make a big league roster and play for a while. My favorite player of all time is Gary Sheffield. Ever since the strike redistributed salaries in MLB to be more suited for clubs to have a bunch of stars and prospects, that everyday guy went away. And with that slice of the baseball world no longer really wanted, black players went first. Over the course of the weekend, there were various drop-bys that you couldn’t re-create if you tried. Eric Davis, the two-time All-Star, World Series champ and multiple Gold Glove winner, visited on Friday. On Sunday, Oakland Athletics catcher Bruce Maxwell, the only starting black catcher in the majors last year and the first MLB player to take a knee during the national anthem, popped by to meet the guys. On Saturday, Washington Nationals pitcher Edwin Jackson took a good hour out of his day to talk about pitching and the value of having black mentors from the league, many of whom, like LaTroy Hawkins — who pitched in more than 1,000 games in the bigs — were there as instructors. Hawkins told me the first game he’d been to in the crowd in the majors was last year’s World Series Game 7 with his family. I was flat-out shocked. But when the game forgets you, why would you go back? That thrill of being at the top is impossible to re-create, and willingly putting yourself back in it is not an easy thing to do. He’s now a scout in the Twins system. 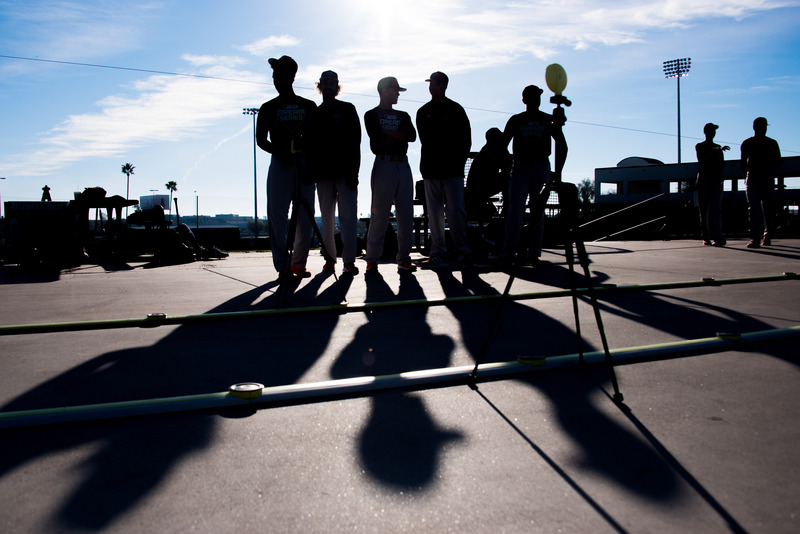 There were so many stories like that that were passed on not only to the kids during dugout and chalk talk sessions but also among the guys in their downtime. This generation of player, the black role player, is almost completely forgotten in baseball’s annals. When I sat on a panel at the winter meetings this year to discuss with MLB execs how to make the game more attractive for black fans, I said that Bill Hall was my favorite player in the league for years. A lot of them laughed. Why? Because Hall played 10 years in MLB with six teams at basically every position on the field. If you want to make the game more popular with black kids, the Bill Halls of the world and their career paths have to be as viable as those of Ryan Howard or Jason Heyward. The Manuel family is not your typical big-time baseball family. Their father, Jerry, established himself as a big league manager when there were few of his kind doing that job with that level of success. His style as a speaker made him popular across a lot of circles, but ultimately his faith is what defines him and keeps him grounded. 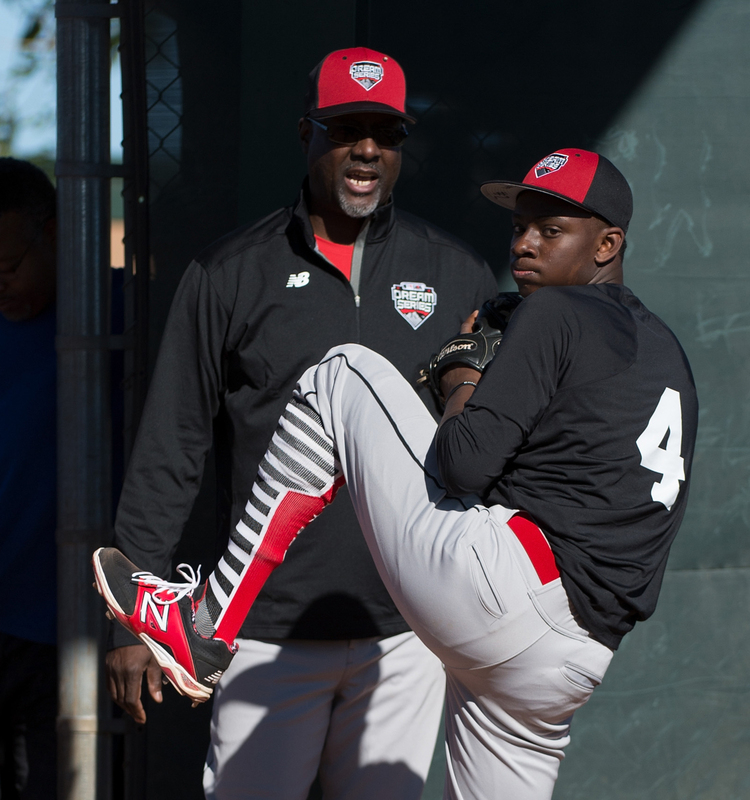 Over the course of these three days, he’s established himself as a leader, a coach and a mentor to these kids, many of whom have legitimate dreams of playing major league baseball. They’ve sat through study halls and a Q&A session with current MLB umpires and been watched by scouts from far and wide, all on MLB’s dime. They’ve had a blast, but Manuel still cautions them not to think that this is it. It’s a lesson that one of his own sons learned well and has taken him to the heights of a life that struck a serious chord with the kids on Saturday. That’s because Jerry Lorenzo was in the building. His work as a fashion designer and creator of the brand “Fear Of God” was well familiar to every player there, and when he talked, you suddenly began to realize exactly how successful this event was. Sitting onstage with his father and his brother, Anthony Manuel (RBI regional coordinator for MLB) and wearing a pair of Off-White x Nike Air Presto kicks, Lorenzo spoke about what it was like to be him. Having played baseball growing up, eventually making it to the Dodgers’ front office and then managing Matt Kemp, it was a long road. But he’d worked in retail fashion for so long he finally decided to pursue it. For me, sitting there in my very much less fly regular Prestos of the same colorway, it was clear how in tune these kids were to his message. Fear of God is about respect for something bigger than you as a driving force to achieve. Be it baseball, fashion or whatever. Later that night, I sat down with the Manuel family to eat dinner and talk about life. Renetta, Manuel’s wife, aka “the reason we’re all here,” is there too. Her energy and passion for life are evident upon first meeting. But, let’s be clear. Lorenzo is super famous and works with the biggest names in entertainment. He’s a real-life star of the culture and is humble and smart enough to know that it isn’t happenstance, nor is it impossible for his brand of swag to be reinjected into the game that is losing not just black players but fans too. He refers to Delino DeShields and Marquis Grissom (one of the instructors at the showcase) as his inspirations growing up. He floats an idea that the World Baseball Classic should have a black American team of its own, to serve as a reminder of what we bring to the game. A day later, pulling away from the hotel grounds to leave the valley of the sun, I noticed a graveyard at the foot of the facility in the buttes that I hadn’t seen upon arrival. After I got out of the car to see it, a roadrunner dashed across my path, straight through its gates. It seemed like an apt metaphor. But one that everyone I’d seen for the past three days had been working their whole lives to change.